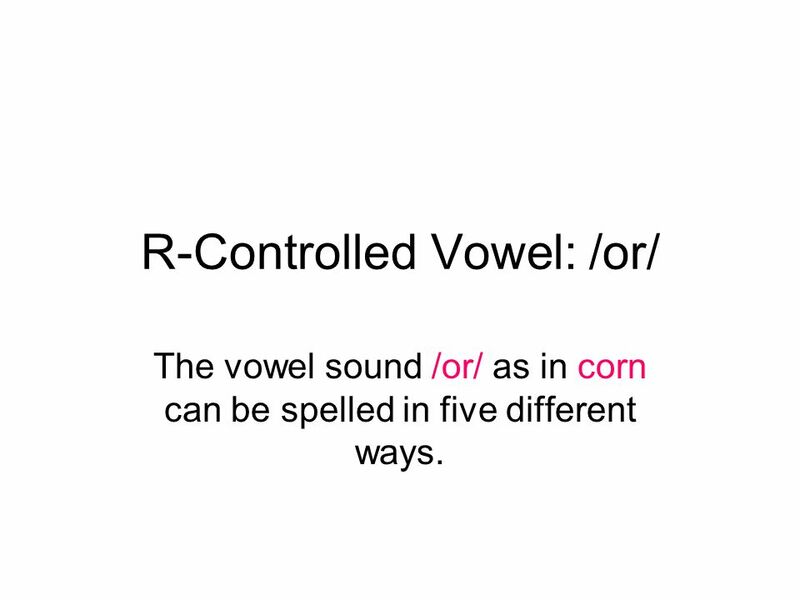 The vowel sound /or/ as in corn can be spelled in five different ways. 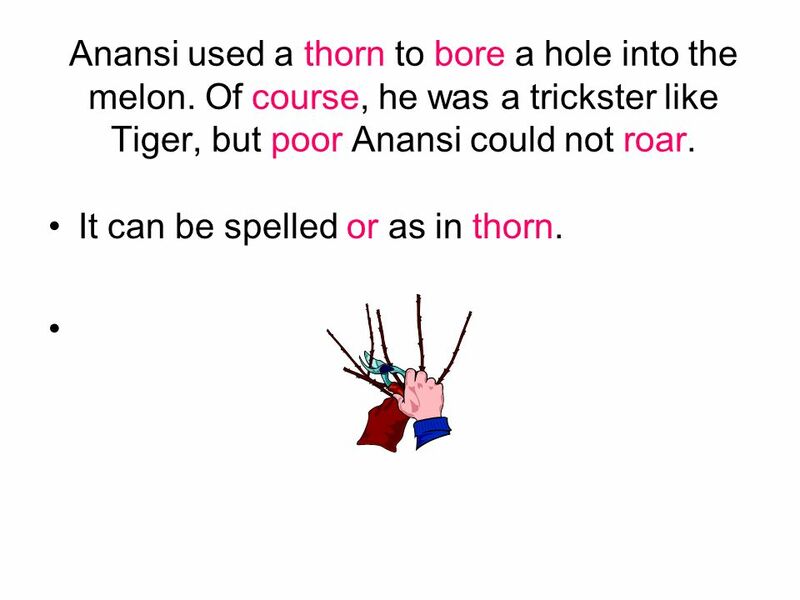 Anansi used a thorn to bore a hole into the melon. Of course, he was a trickster like Tiger, but poor Anansi could not roar. It can be spelled or as in thorn. 3 It can be spelled ore as in bore. 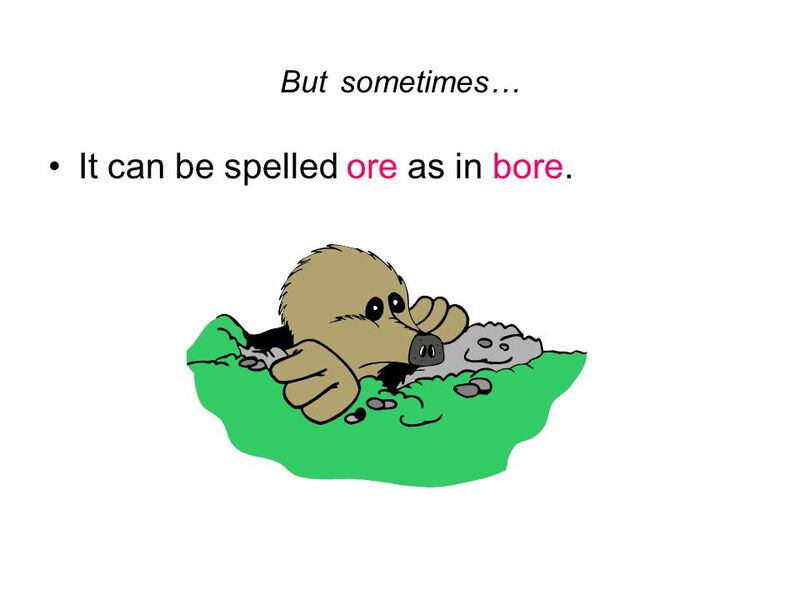 But sometimes… It can be spelled ore as in bore. 4 It can be spelled our as in of course. At other times… It can be spelled our as in of course. 5 It can be spelled oor as in poor. And then… It can be spelled oor as in poor. 6 Sometimes it can be spelled oar as in roar. 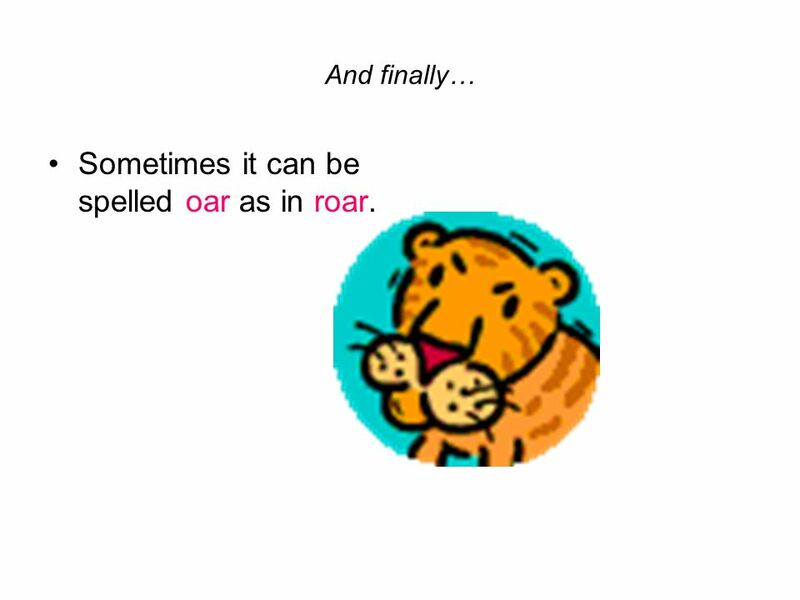 And finally… Sometimes it can be spelled oar as in roar. 7 What do you call an entryway with an ache? Let’s read some /or/ words together board born roar corn pour door snore bore sore more store Now let’s try some Hink Pink riddles together. 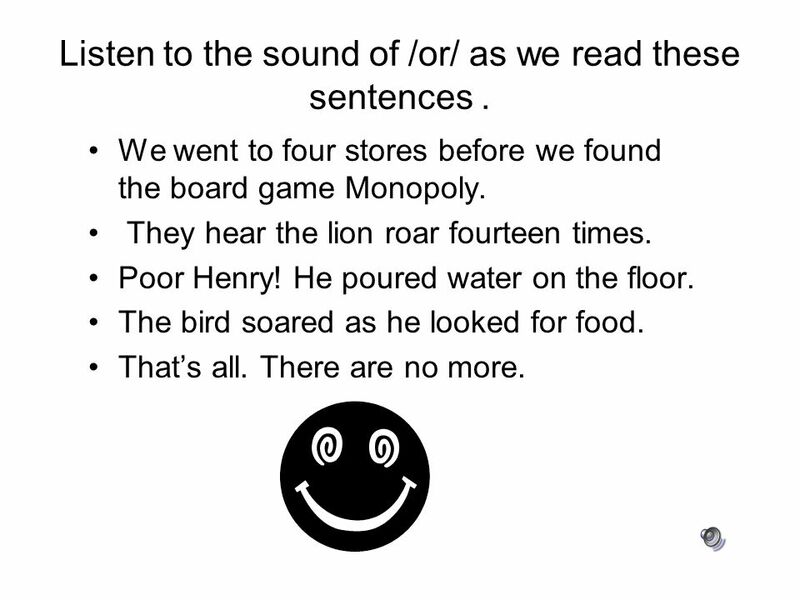 Each word in the two-word rhyming answer should have the same vowel sound as soar. Choose 2 words from the words above. What do you call an entryway with an ache? 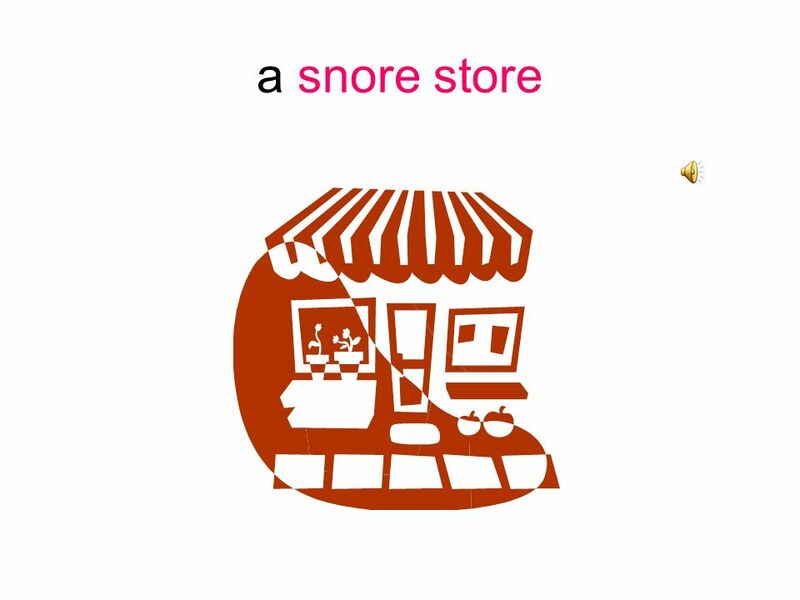 What do you call a place that sells beds? What do you say when you want another glass of milk? 14 Listen to the sound of /or/ as we read these sentences . We went to four stores before we found the board game Monopoly. They hear the lion roar fourteen times. Poor Henry! He poured water on the floor. The bird soared as he looked for food. That’s all. There are no more. Download ppt "R-Controlled Vowel: /or/"
Sidewalks First Grade Unit 1 Week 5 Day 1. The name for both of these letters is k. This is capital K and this is lowercase k. Kk. Listen Up! Use sound stretching of one syllable words to identify each phoneme. 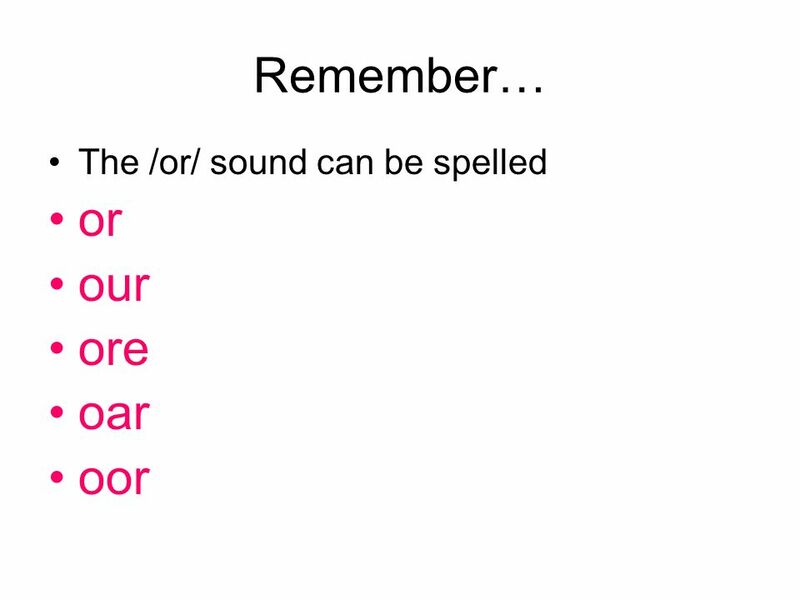 R-Controlled Vowel or and ore. r-Controlled Vowel or Say the sounds /t/ /or/ /n/ What word do you hear? torn. Time to be Born A Reading Genie Book By Geri Murray. First Grade Jeopardy How to Play: There are five categories- Beginning Sounds, Ending Sounds, Middle Sounds, Rhyming Words, and Capital Letters. Choose.  On your white boards, write the vowels. Activate Prior Knowledge. Measure 25 ml of red water and pour it into test tube A. Step 1 Remember 25 is 5 lines above the 20. Practice your vowel sounds! Mrs. Nelson First Grade Click here for directions. Fun with Rhyming Miss Osborne Kindergarten. 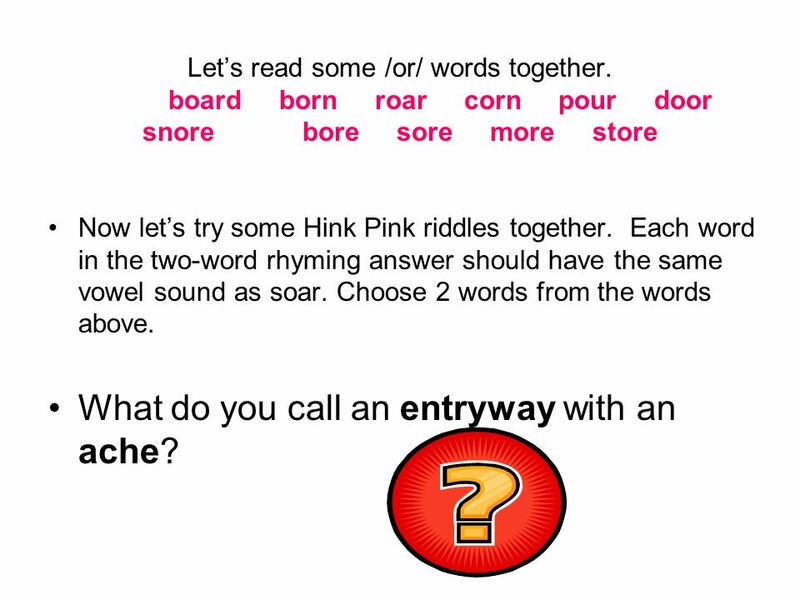 Introduction This Web Quest is going to be a fun way for you to learn about Rhyming Words! Throughout the. Ms. Holewinski’s Short Vowel Review Click the button to begin.